Join a Creative Phone Photography Workshop this April 20-22! 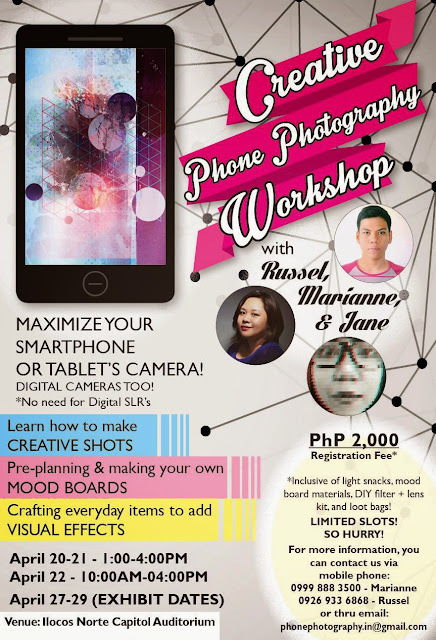 Let us all explore our artistic potential thru photography using our smartphones, tablets and digital cameras! This workshop is open from ages 10 and above!